We are authorised to carry out Green Deal Boiler and home and efficiency improvements. Under the Government Green Deal initiative you may qualify for a replacement boiler at no cost and is paid over a period of time by using the savings from the energy savings. Group3Energy Compliance Ltd are one of the leading suppliers of plumbing, electrical, joinery work and energy saving installers in the UK. We have a strong team of engineers throughout the UK whom all are registered and qualified and are insured to carry out exceptional work on domestic and commercial properties. We are one of the leading providers of boiler installation at affordable costs because we get discounts as we buy in quantity. 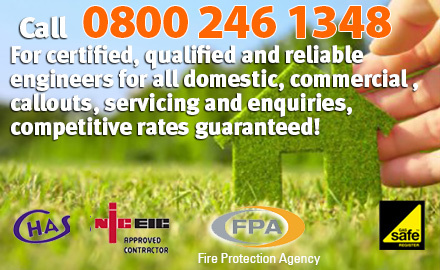 We cater for both local domestic and if you are an agent or landlord with multiple properties then we offer great discounts for multiple compliance inspections . 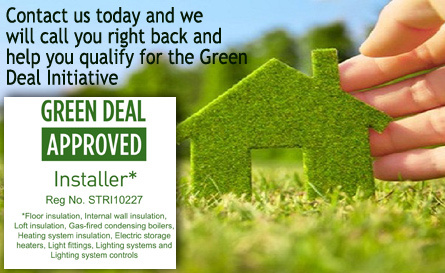 Green Deal is a UK based energy efficiency scheme which enables home owners to get a boiler, internal and external wall cavity insulation and loft insulation. The scheme provides eligible tenants to get the installations done without any cost to you and the money saved in household energy bills goes towards paying off the boiler etc. In essence your bills don’t increase or decrease yet you may qualify to get your entire home with a brand new energy saving boiler and insulation without the need to bring out your credit card. We are one of the few qualified engineers to conduct Green Deal Energy advice, reports and installs. Contact us today and we can provide advice and assistance and help you qualify for the assessment and we work with you from initial reports right through to installation. We are qualified to carry out all types of property repairs and installations with an advanced job management system to ensure we get to your property quickly when you need us. Plumbing, Electrical, Fire Safety and Handyman work, we do it all. We are one of the few companies that are able to manage full property portfolios for landlords and estate agents. We have over 10 years experience in managing multiple properties including HMO, compliance and legislation requirements. We are entitled to huge discounts from suppliers as we buy in bulk and pass the savings on to you, so you can look forward to a very sensible quote. We also offer discounts for landlords/agents who have more than one property to be maintained. When you need work done in your property then you want professionals who are qualified and approved to carry out the relevant works otherwise could be illegal. Our documents are available via the site so you have complete trust in our standards. We have been impressed by the consistent high levels of service Group 3 Energy provided to their clients and the challenges they set themselves in maintaining and improving these standards. We would not have any hesitation in recommending G3 to any company seeking to use their services. We began using the services of Group 3 Energy at the start of 2010 to inspect the level of gas safety at our properties. We are more than happy with the service we are receiving as they offer an excellent level of communication, ease in arranging inspections and ease in receiving certificates. We look forward to a good relationship with Group 3 Energy in the nearest future. We are a nationwide supplier of property services including electrical, plumbing, greendeal installation and all your landlord legislation requirements. Copyright © 2012 Group3Energy Compliance Ltd. All rights reserved.